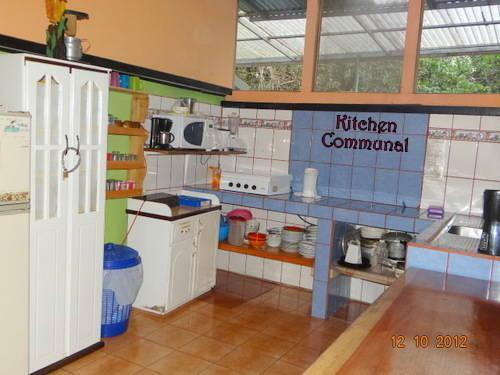 ﻿ Best Price on Cabinas El Pueblo Bed & Breakfast in Monteverde + Reviews! This quaint B&B is located in Monteverde, Costa Rica and serves organic coffee from its own plantation. Cabinas El Pueblo also features free Wi-Fi and is a 15-minute walk from the city center. Each room at this rural property offers lots of natural light, simple furnishings and a wardrobe. Some rooms feature a private bathroom with a shower and toilet. A breakfast of pancakes, fruit, toast and cereal is included in the room rate, and guests will find lunch and dinner options within 0.6 mi of the property, including a pizzeria. This property is only 3.1 mi from Monte Verde Biological Reserve Cloud Forest, and the tour desk can help guests plan outings. San Juan’s International airport is a 2.5-hour drive from Cabinas El Pueblo.